Now, more than ever, the easiest way to reach someone is by email. After all, 95 percent of online consumers use email, and 91 percent of consumers reported checking their email at least once a day. Whatâ€™s more, survey respondents spent more time per week with email than any other digital activity – an hour more than popular digital diversions such as Facebook and texting. In other words, if you havenâ€™t been focusing on improving your email marketing, you better prioritize it now, or your business may suffer. We know cold emailing can be a drag, which is why we compiled the ultimate email toolkit – a list of 16 fantastic email tools that will make emailing fun – or at least a breeze. Do you have multiple email addresses? Are you sick of Gmailâ€™s ugly email signature options that do not let you attach an image? I was, and so I purchased WiseStamp, which is the prettiest email signature solution. Not only is it a better looking option but it is also easy to switch signatures between email accounts. I donâ€™t know how I lived without Yesware. Ever wonder if that important lead or client opened your email? Wonder if they clicked on your link or opened your file attachment? Yesware tracks all of that information for you, and letâ€™s you know as soon they click, open or download. Another cool feature of Yesware is that it lets you create email templates for emails you send on the reg. 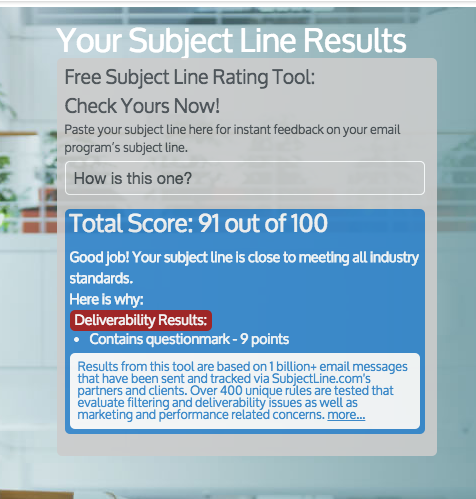 This is a simple tool that grades your subject line before you hit send â€” for free! It gives you a score as high as 100, and it tells you specifically why you received that score. Voila Norbert is my go-to resource for finding an important personâ€™s email address that isnâ€™t listed on a website. I simply type in the personâ€™s first and last name along with the domain name without the â€œhttpâ€� in the beginning and â€œ/â€œ at the end. Finally, it pumps out the email address I wanted 99.9 percent of time. 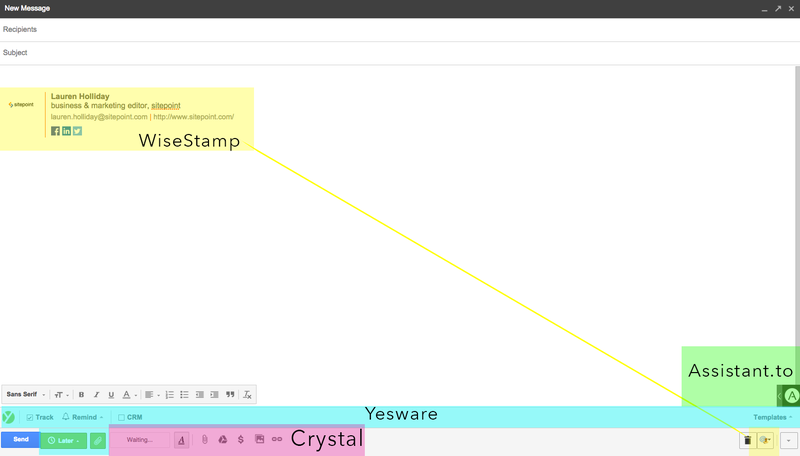 Crystal isnâ€™t kidding when it claims to be the biggest improvement to email since spell check. I discovered Crystal the other day on Product Hunt, and Iâ€™ve been obsessed since. This handy email extension creates unique personality profiles for every person with an online presence, preparing you to speak or write in someone elseâ€™s natural, communication style. Rapportive is a popular gmail extension that brings LinkedIn to your inbox. It shows you everything about your contacts right inside of gmail. Are you sick of people being creepy and tracking your emails? Me too (even though I do it too), which is why I downloaded this Chrome extension. It tells you before you open the email if the specific email is being tracked. Are you unsure what to type? Thatâ€™s okay because thereâ€™s a solution for that – Canned Emails. Canned Emails is a minimal site with prewritten emails. It has everything from apologies to thanks and more. Maybe you have a client you need to design onboarding emails for, and youâ€™re stumped for inspiration. Where the heck are you going to find really good onboarding email inspiration? At Really Good Emails, of course. Check out the best emails on everything from onboarding to cart abandonment and more. Have you heard of Contactually? For those of you who havenâ€™t, Contactually is a SaaS that helps you nurture your leads better. The company created a tool, called Email Report Card, that analyzes or grades your emailing over the past year – in 2014. I could not live without Unroll.me. 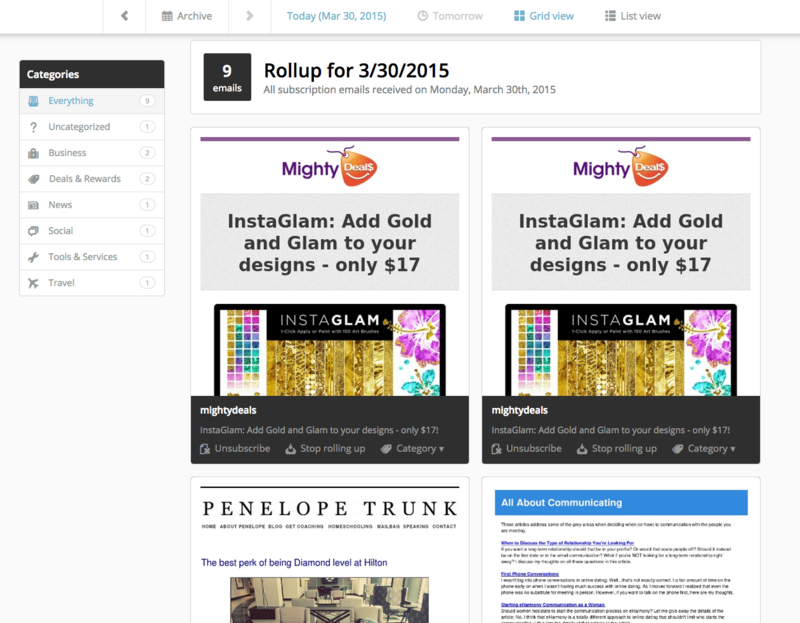 As someone with more than 1000 newsletter subscriptions, this tool saves my inbox life. Unroll.me cleans up your inbox by allowing you to easily choose which emails wind up in your â€œrollup,â€� which is sent to your inbox on the basis you choose. Itâ€™s one email of all your subscriptions. Itâ€™s that easy. Email scheduling can be a real pain, especially if you canâ€™t afford a virtual assistant to schedule meetings for you. I surely canâ€™t so I hired Assistant.to to help solve my scheduling headaches. This email extension inserts your availability into emails for your client to choose. Once your client clicks on the time good for them, Assistant.to automatically sends invites to both parties and schedules it on your calendar. Do you find amazing links daily? Instead of sending these goodies to people spontaneously, have them sign up for a weekly automated digest that Revue creates based on the links you curated that week. All you have to do is collect the stuff you want in your digest by clicking one button, and Revue handles the rest. Take a break from your email, literally, with Pause Inbox. This Chrome extension allows you to put your inbox on pause so youâ€™re not distracted by email when you need to get stuff done. It triggers an auto-responder, telling emailers youâ€™ve paused your inbox so no one gets upset youâ€™re not responding straight away. Boomerang is a gmail extension that you only need if you havenâ€™t purchased Yesware. The tool allows you to write emails now but schedule them to be sent later. This is perfect if youâ€™re a night owl but donâ€™t want people to get creeped out that youâ€™re sending emails so late in the evening or wee hours of the morning. The Unsubscribe Button does exactly what it insinuates. It easily unsubscribes you from emails without having to hunt for the unsubscribe button. You must be in Chrome to utilize this button. 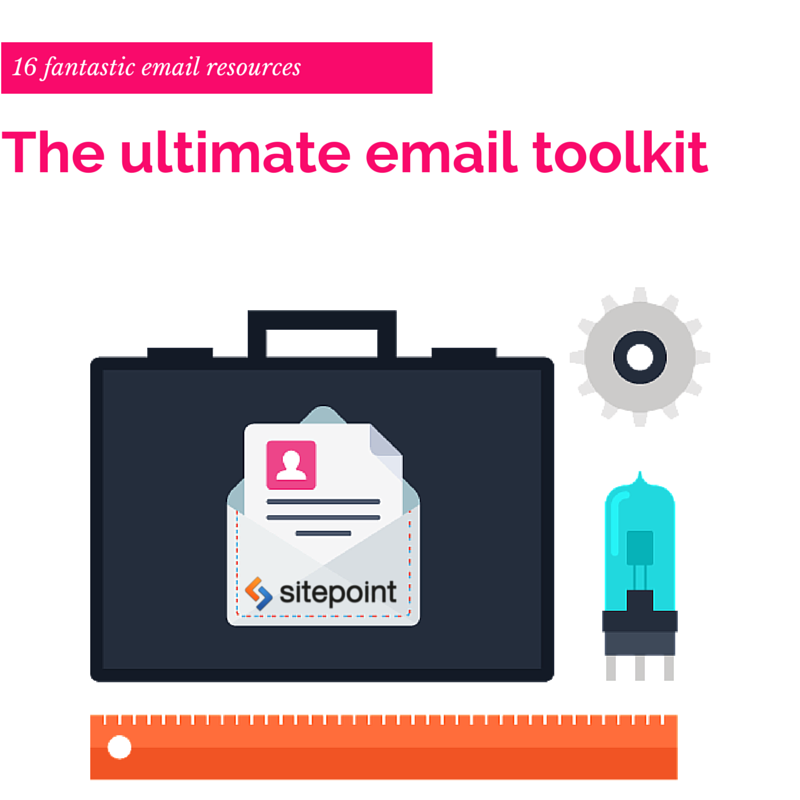 What are your favorite email tools? Tell us in the comments below. We want in on your secrets! This might be slightly off topic, but I really like the free browser add-on Markdown Here, which allows you to use Markdown in your emails. Just type your email with bits of Markdown syntax, like headings, quotes, code blocks and inline code, lists and tables, and just before sending the email, click the Markdown Here toolbar icon, and presto, you have a beautifully formatted email. I really like Streak. It makes it very easy to see which emails I'm waiting on, and what I need to focus on next. There's also a handy "pause until later", which I'm using until Google officially launches Inbox for Google Apps accounts It allows me to clear my inbox every night by postponing emails that aren't urgent. It's a small thing, but ending the day with a clear inbox is relaxing. Sanebox is another very nice way to help control email.